Harrysong – Confessions ft. Seyi Shay & Patoranking. 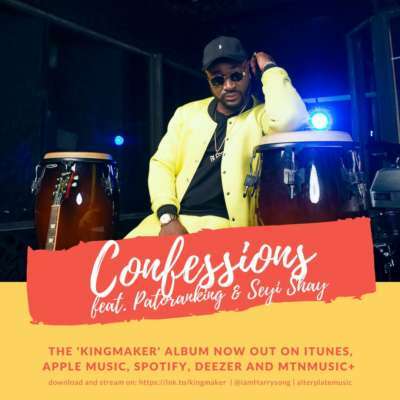 In front of the Kingmaker show slated for April 29, Alterplate manager, Harrysong comes through with a reggae track titled “Confessions” highlighting Seyi Shay and Patoranking. The Dr Amir created single is off his sophomore collection titled “The Kingmaker”. Keep an eye on it beneath and appreciate Harrysong – Confessions ft. Seyi Shay & Patoranking below.